Many of our suggestions around making the best pitch have to do with impressing investors, accelerators, and judges at pitch competitions. There is another group that is often overlooked in the investment space and it might be sitting right under your nose at your day job. Established companies are hungrier than you think for new ideas, concepts and innovations that will make their futures bright. Read more to find out how to help bring your innovative ideas to life within your company. Corporate accelerators and incubators are constantly trying to find ways to engage their employees for new ideas, products, or services that might be the next “big thing” in their customers’ lives. Often these programs are built because the maturity of the business stifles innovation or management hierarchy has a tendency to suppress new ideas and new ways of doing things. In short – if it doesn’t fit into the current culture, your great idea might never see the light of day. Good companies know this dynamic exists and these types of programs are created to foster innovation and support new ideas from within, which is much cheaper than having to acquire an external company with a different culture, operating process, and customer base to reach new markets with new products. Whether or not your company has a formal incubation program for new ideas, this article will get into the details of how you should go about pitching your idea internally and how to think about breathing new life into the company you are already working for. Very often people who work within a company have a brilliant idea that they think will make things better for them, their customers, or the business overall. These employees may not be making the ultimate decision, but because of their relationship and proximity to the daily operations and customers, they are more likely to have better insight into customer challenges and innovation paths that the organization should be following to better meet its goals. Somehow that idea needs to find its way to the higher ups, the people that make the decisions. These people have a wider picture (or at least a better idea of it) and the decision making power to determine whether or not the organization can or should move forward with your idea. Having a big idea and being able to help your organization bring it to life is exciting and can be very rewarding when successfully done. Especially when you really love your company and customers and you want it things to bet better for them both. When you have an idea in this type of environment you’ll likely need to pitch it to someone. Look at any pitch or presentation that you give within your organization as if it’s a startup pitch. The higher ups, the people making this decision, have money they need to spend on making the business succeed. Sometimes they have a lot of discretion to choose what things they want to invest in throughout the year. Sometimes they don’t have much leeway outside of their pre-planned budgets. For those who do have budgetary discretion, new investment decisions will be made very similar to funding a startup. Any new product or service your company builds will most likely go through a similar process to fund, incubate, and market the original idea to get it off the ground successfully in the form of a new product or service. These executives are choosing whether or not to invest in new concepts ideas, products, features in much the same way whether or not the ideas are coming from within or outside the organization. They will become champions of ideas they think are winners and critics of those they don’t.  Because of the similar dynamics involved in investing in innovation, look at pitching to your organization through the lens of a startup pitch. Ultimately, you need to be working for a place that values you and your perspective. Ensure you are starting with a reasonably open culture or your idea might never see the light of day even with a lot of support. And you might end up seeing more daylight than you want when you are deemed not a great fit because of how many ideas you have and how you stir up trouble among the ranks. We can’t tell you who you need to start with in the quest for bringing your idea up the ladder, but we can help you think through how to pitch it. If your company already has an internal incubator program, start with them. These programs are built to dissolve corporate hierarchy and give life to ideas that would have otherwise been squashed by threatened or busy managers. If you have a leader who you are close with and can help champion your idea it’s good to build these connections as well. Next, prepare to convey what it is that you’re proposing. That’s easy. You probably assumed you were going to have to explain what your idea was to someone. It won’t do any good in your head alone. Examine why there is a need for your idea right now. Look at your customer groups and uncover the underlying pains they’re feeling, or the underlying challenges that have caused you to think of this new idea. What is the pain? Why is there some reason this new thing should exist? Prepare to show your decision makers that reason. Tell them that story. Be as specific and as tangible as you can when conveying that information in this kind of pitch. Tell them about the pain in a way they can identify with and understand. Tell them what your solution to the pain is and how it makes everyone’s lives dramatically better. Finally, talk about why this is a good financial decision. There are many different ways to do this, and it might be different than in a startup space. In a startup space you talk about traction, you talk about marketing size. For your particular idea I don’t know exactly what the idea is, so I can’t quite tell you whether a market size type analysis would be useful. If it’s a customer facing idea, the market size analysis should be appropriate. If it’s an internal innovation, describing financial impacts to internal dynamics like reduction in time, resources, or expenditure can all be pathways to estimating the potential value of your idea. If you’re pitching a new product line, talk about the customer opportunity they have that they don’t have now. If you’re pitching a change to a processes, talk about how you could improve that process and what that might mean for your company, or for profit, or for revenue, or whatever the impact really is. Financial and non financial impacts are probably the hardest to understand and get right. They are what many people within an organization, especially when you’re not the deciding manager level, don’t think about as much. It’s not as apparent to you as an employee, but to your organization’s decision maker’s financial impacts are extremely important to a “thumbs up” or a “thumbs down” and might be why they haven’t tried your idea in the first place. But don’t forget non-monetary or auxiliary benefits as well such as company good will, brand bolstering, and employee moral (note: all of these culminate in eventual financial impacts). Taking your idea past idea stage into analyzing financial impacts and then explaining why it’s a good financial decision can be very valuable in you getting your company to invest financially in your idea. Bottom line – be prepared to make the case for the underlying need and financial impact behind the decision to fund your idea. Go through a robust thought process when you want support for your idea. This will give you the right footing for putting together a compelling pitch to deliver internally to your organization. Put yourself in the shoes of a startup. Your idea is a startup in-and-of-itself and it needs attention and the right frame to get it out of your mind and through the hurdles of internal company investment. Although it’s a little bit different than pitching a typical startup, we know that getting your ideas out in a clear, thoughtful, well-reasoned way can really help your organization adopt them and innovate. If you have any thoughts on how to pitch inside of a company, experiences that you’ve had I would love to hear about it in the comments below. And if you have any ideas for upcoming pitch hacks we have a link down below as well. I would love to hear your questions and I will answer them in an upcoming Pitch Hack video.